Playa Vista, CA and Austin, TX – August 21, 2017– Linksys®, a leader in home and business networking solutions and Rivet Networks, makers of the award winning line of high-performance Killer™ Networking products for desktop and notebook PCs, today announced at Gamescom in Cologne, Germany, the upcoming availability of the new Linksys WRT™ gaming edition router – the WRT32X. 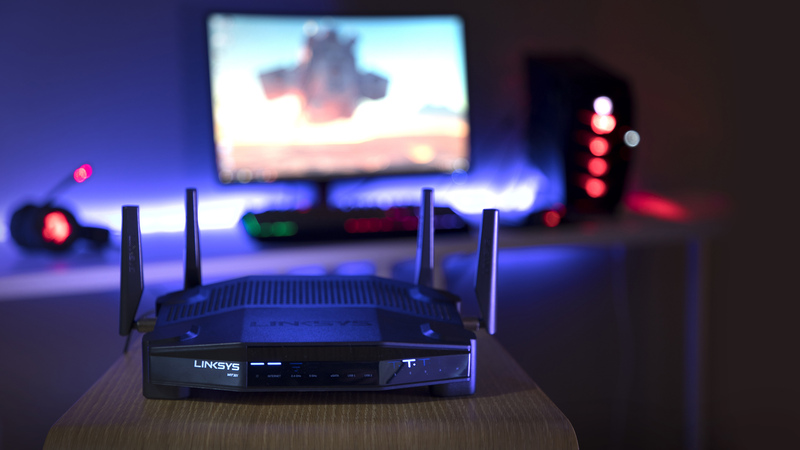 This first of its kind collaboration, Linksys and Rivet Networks teamed to incorporate the Killer Prioritization Engine (KPE) to provide serious online gamers the only router optimized for high-speed gaming for users with Killer-enabled gaming PCs. The KPE optimizes traffic for low latency and less lag and ensures that the Killer-enabled PC’s gaming, audio, and video is fast and smooth, while simultaneously managing other online traffic in the home to ensure other devices and activities are not compromised. The new firmware and graphical user interface (GUI) was also custom-built from the ground up with a focus on monitoring and controlling gaming network traffic. The Linksys WRT32X is available for pre-order starting today and plans to ship starting in September 2017. Linksys WRT32X Custom Software – Dash Board Page. 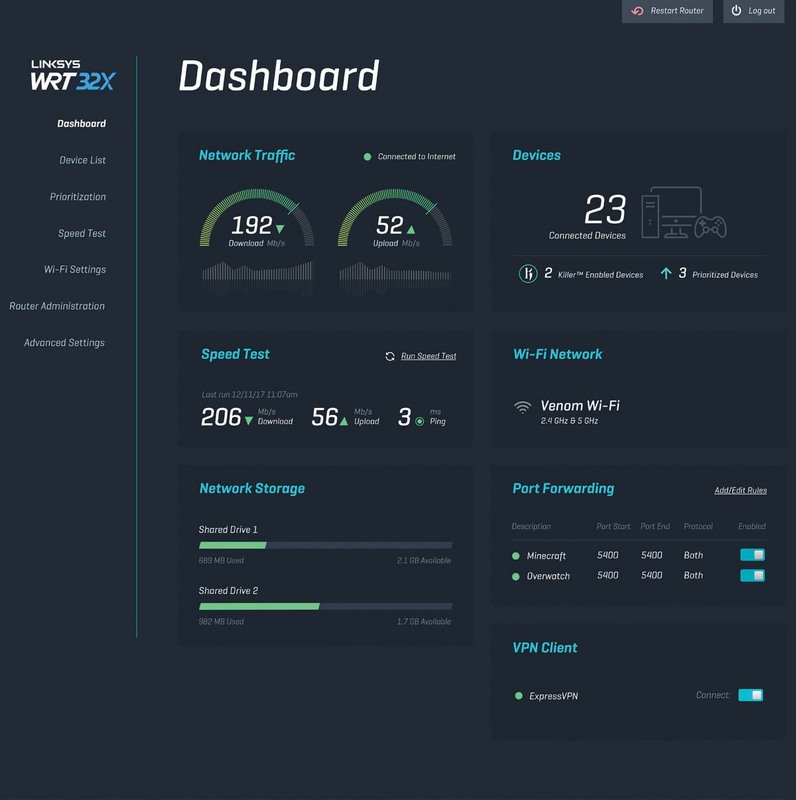 The WRT32X utilizes the Killer Prioritization Engine (KPE) to determine which devices are connected to the router that are enabled with and using Killer Networking hardware. This hardware can be found in gaming and performance PCs and motherboards from companies like Dell® (Both Alienware and XPS models), Gigabyte, MSI, or Razer, as well as Acer®, Lenovo®, and more. The KPE works in tandem with Killer-enabled computers to prioritize important gaming and video networking traffic above other devices in the home. When a user starts a game, the Killer hardware on the PC communicates with the router and tells the router to treat the gaming packets special and with high priority. If the network is bogged down from other users, the WRT32X is able to keep the gameplay fast and smooth because it prioritizes the Killer game traffic above other traffic in the home. Conversely, the PC also communicates to the router when a less important activity is taking place (like a download) so that the router won’t let the download impact the Internet experience of other users in the home. Since network priorities are fully customizable on Killer-Enabled PCs, the KPE on the WRT32X is able to honor those priorities. So if the user configures the Killer Control Center to make streaming videos their top priority, the WRT32X will treat those packets like gold and ensure nothing in the home slows down those streaming video networking packets. Gamers will also welcome the new custom-built firmware and GUI specifically for this WRT32X. The firmware won’t be found on any other router. 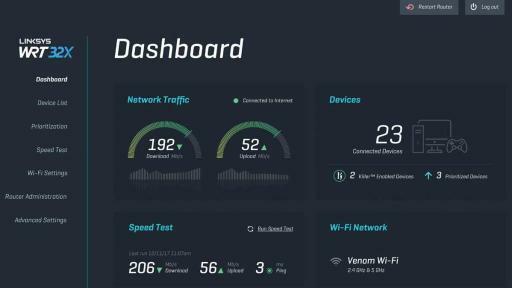 The GUI is used to promote important network settings for gaming, provide network usage statics, and it’s wrapped in a design that appeals to gamers while matching the edgy design of the WRT hardware. The new GUI also has a unified responsive design across the desktop, tablet and mobile device. 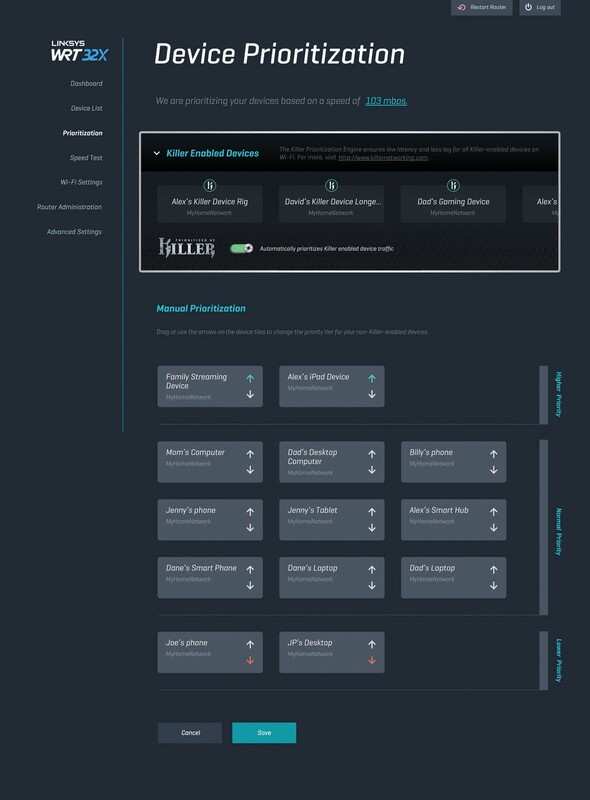 Users on a Killer-enabled PC will also now see a “router” tab on Killer’s Control Center App on the PC when the WRT32X is attached. 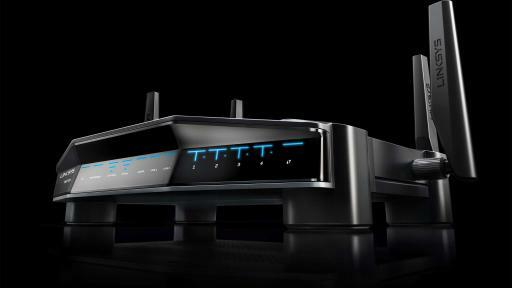 This provides easier access to router KPE controls for settings while gaming without launching the router GUI. 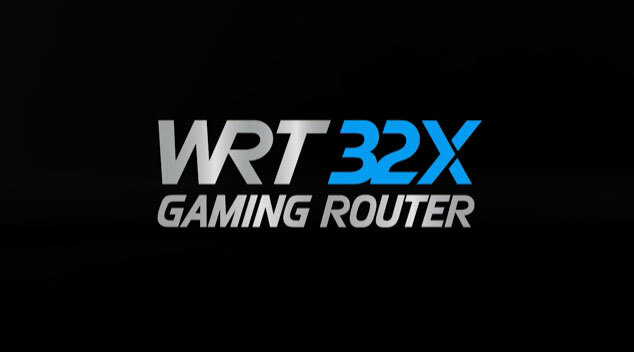 The WRT32X Wi-Fi Gaming Router, a CES 2017 Innovations Award Honoree, starts with enterprise grade hardware: 1.8 GHz Dual-Core ARM CPU, 802.11ac Wave 2 Dual-band 3x3 wireless radio, 256MB Flash and 512MB of DDR3 Memory, and 5-port SOHO-grade Gigabit Ethernet switch with TCAM. For the software, the core firmware level uses the latest stable Linux kernel version for a streamlined and lightweight code base with low latency as the top focus. The secret ingredient and key innovation is the integration of the Killer Prioritization Engine. 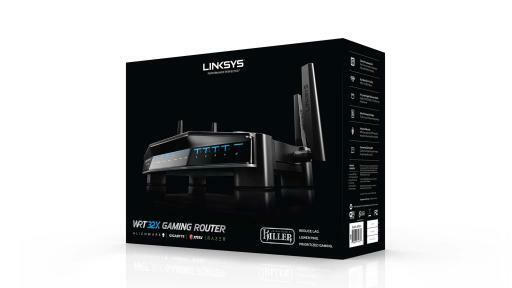 The WRT32X will be on display at the Linksys Booth - Hall 5, Stand D042 at the Gamescom show in Cologne Germany this week. 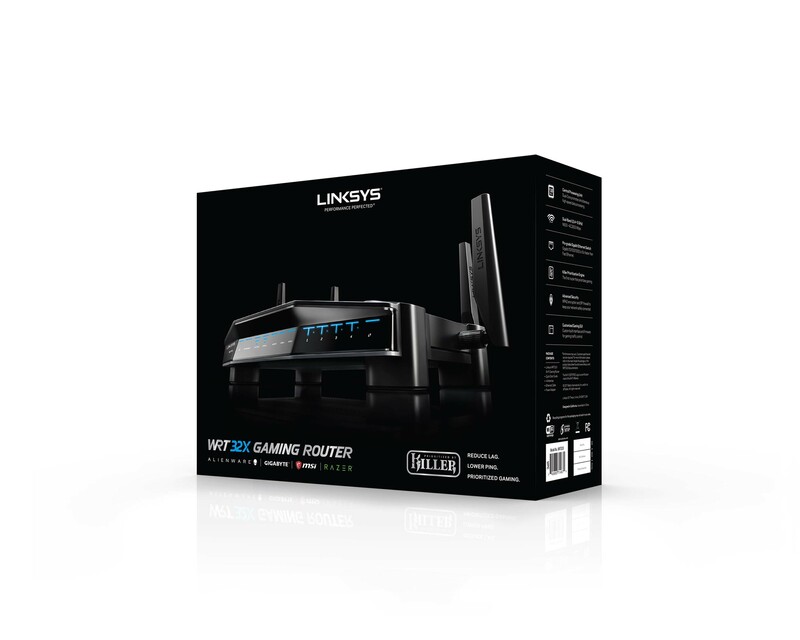 The new Linksys WRT32X Wi-Fi Gaming Router is available for pre-order starting today at Amazon, BestBuy.com and Linksys.com and plans to begin shipping September 21, 2017. The WRT32X will being rolling out to leading retailers such as Best Buy, B&H, Fry's, Micro Center, New Egg and Target, throughout September for an estimated MSRP of $299.99 USD. 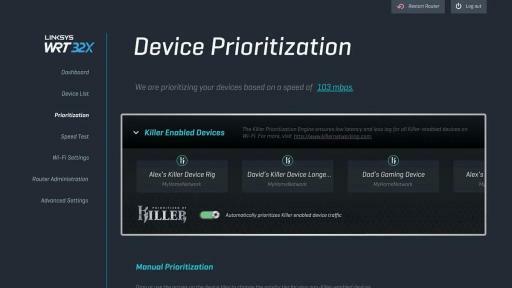 *Killer reduces peak ping by 77% calculated from the reduction of peak ping rate from 74 milliseconds (ms) to 17 ms when using the Killer Prioritization Engine on the WRT32X and a Killer-enabled PC using a 10 megabits per second (Mbps) down/2Mbps up internet connection that has mul­tiple devices consuming the 10Mbps connection. ‡ The standard transmission rates—450 Mbps or 2600 Mbps (for 5 GHz), 600 Mbps (for 2.4 GHz), 54 Mbps—are the physical data rates. Actual data throughput will be lower and may depend on the mix of wireless products used and external factors. Maximum performance derived from IEEE Standard 802.11 specifications. Actual performance may vary, including lower wireless network capacity, data throughput rate, range and coverage. Performance depends upon many factors, conditions and variables, including products used, interference and other adverse conditions. 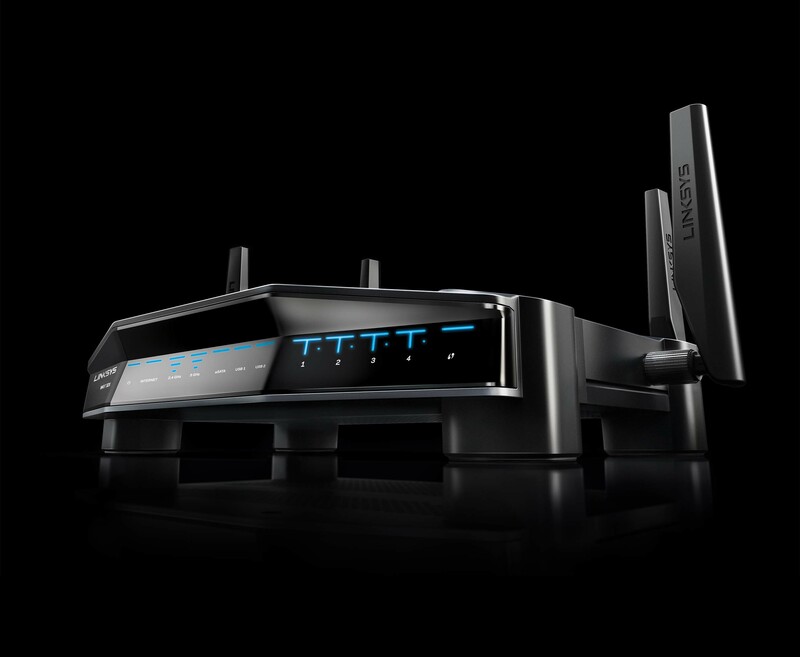 In order to achieve the best performance, this router must be used with a compatible AC2600 wireless device. Specifications are subject to change without notice. An active, customer-purchased Internet Service Provider broadband account is required for connection of these routers and other connected computers and devices to the Internet. Some devices may require additional wireless adapters or an Ethernet cable to connect to these routers. May require a software/firmware update available for download at linksys.com/support. LINKSYS, WRT and many product names and logos are trademarks of the Belkin group of companies. Third-party trademarks mentioned are the property of their respective owners.